Rent Iron Bar | Corporate Events | Wedding Locations, Event Spaces and Party Venues. A stellar new Gastro Bar, Restaurant & Lounge just a block off Times Square, the Iron Bar & Lounge has something for the everyone. The lunch crowd, the happy hour crowd, sports fans and the Broadway show crowd. A featured selection of great gastronomic treats, 45 tap beers on tap and 45 bottled beers on the corner of 45th St and 8th Ave. 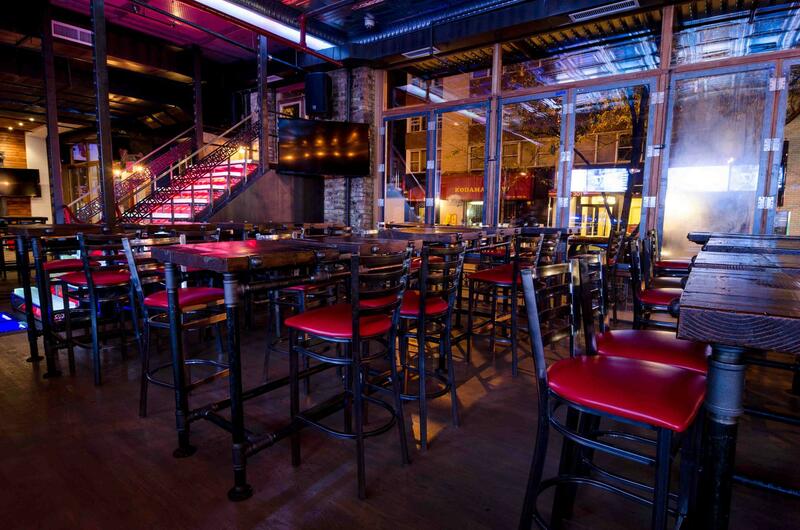 There are 20 television screens for sports fans including a 16ft wide projection and an amazing lounge area that is all sleek sofas and comfort all in one big beautiful bar on the west side of Midtown NYC.